Monument Car Accident Attorney | The Green Law Firm, P.C. No one ever thinks it’s going to happen to them. But every year, nearly 6.2 million car accidents are reported to police. These accidents result in over 2.4 million injuries and 35,000 fatalities each and every year. In a second, everything can change and your entire life could be forever altered. When this occurs, it is important to have an experienced Monument car accident attorney on your side from the very start. Your attorney will be able to negotiate with the insurance companies to obtain the maximum compensation for your injuries, so you can work on putting your life back together again. Located just north of Colorado Springs, Monument, Colorado is a small but bustling community with historical significance. Originally a stop along the Rio Grande Railroad in the 1800s, it is now home to a variety of small businesses, locally owned shops, and art galleries. It’s close access to Interstate 25 and State Highway 105 make it easy for residents of Monument to commute to Colorado Springs for business or outings. Did you know that you only have 3 years from the date of the accident to file a claim? While this may seem like a lot of time, it is not! During this time, insurance companies will be working to reduce your claim. As such, it is important to have an experienced and skilled Monument car accident lawyer on your side from the very beginning. Your lawyer will be able to ensure that you do not miss any deadlines and that your rights to compensation are protected every step of the way. 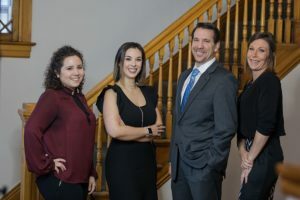 When you need help after a serious car accident in Monument, you need a law firm on your side that is not afraid to go head-to-head with the big insurance companies. At the Green Law Firm, our Monument lawyers understand that you need money now – that’s why we fight aggressively for all our injured clients. Contact the experienced at the Green Law Firm today to schedule a no-obligation consultation and discuss your case. Call us today at 1-719-694-8515.